With a supporting cast of even more new events and great attractions at both resorts, there's plenty of fun in the sun for Disney Parks guests in California and Florida. "In the U.S. and around the world, Disney parks are making new magic for our guests," said Bob Chapek, Chairman of Walt Disney Parks and Resorts. 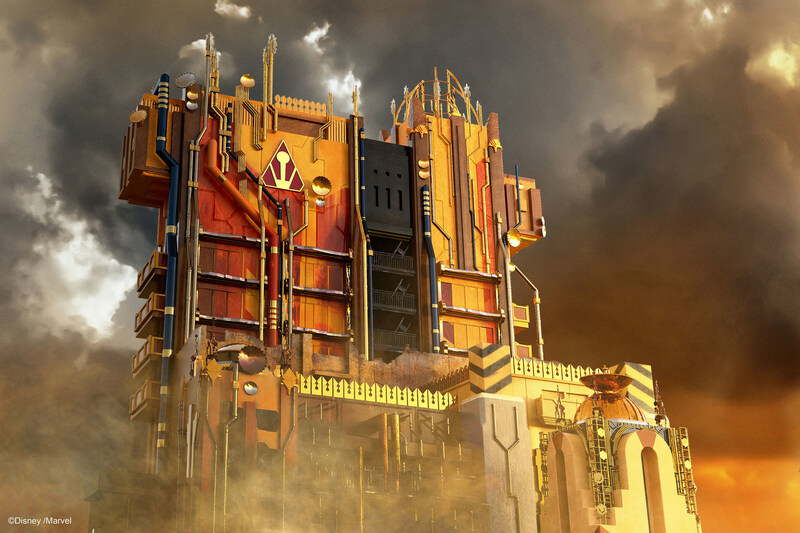 "With an irreverent and rockin' new attraction at Disneyland Resort and an entire never-before-seen world at Walt Disney World Resort opening this May, there are fantastic experiences in store for our guests. Starting this summer they will be able to step into the worlds of their favorite stories and characters like never before." 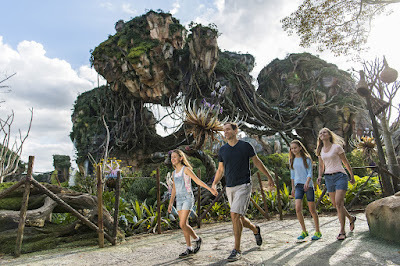 At Walt Disney World Resort in Florida, opening May 27: Pandora – The World of Avatar, an all-new land at Disney's Animal Kingdom, will transport guests to a mystical world of bioluminescent rainforests, floating mountains and soaring banshees. In collaboration with filmmaker James Cameron and Lightstorm Entertainment, Disney is bringing to life the fantasy world of Pandora, inspired by Cameron's epic film AVATAR. Guests will fly above the jungles of Pandora while riding on a mountain banshee on the thrilling Avatar Flight of Passage. And they'll board reed boats for Na'vi River Journey, a family-friendly excursion down a rainforest river to see the Na'vi Shaman of Songs. At Disneyland Resort in California, opening May 27: Outrageous and irreverent characters from the "Guardians of the Galaxy" films, comics and animated series lead guests on a high-energy adventure in Guardians of the Galaxy ­– Mission: BREAKOUT! at Disney California Adventure Park. The chaotic and hilarious adventure combines a breathtaking free-fall sensation with all-new visual and audio effects, plus the attraction's "awesome mix tape" of music inspired by the films' soundtracks. Guests will board a gantry lift for multiple, random ride experiences in a pulse-pounding rise and fall as they join Rocket, one of the most unusual heroes a guest will encounter, in a daring plan to free the captive Guardians from The Collector's Fortress. Guardians of the Galaxy – Mission: BREAKOUT! is the cornerstone of the summertime celebration, Summer of Heroes, where guests will enjoy Super Hero encounters; an awesome dance-off featuring Star-Lord and Gamora; and, for a limited time, a challenging "Avengers Training Initiative" for young recruits. Guests have a chance to be dazzled by the beloved and iconic "Main Street Electrical Parade," with an extended run through Aug. 20. The spectacular nighttime "Fantasmic!" show re-opens at Disneyland this summer, and the classic Disneyland Railroad and Rivers of America attractions return to delight park guests. Also in Disneyland, Star Wars and Disney fans will step into out-of-this-galaxy adventures at Star Wars Launch Bay, meeting some Star Wars characters and getting an up-close look at replica props and models from "Rogue One: A Star Wars Story." "Disney Junior Dance Party" debuts Friday, May 26, at Disney California Adventure, creating a fun concert experience where adults and kids can sing and dance along to the music. Popular Disney Junior characters from Disney Junior TV shows "Doc McStuffins," "Sofia the First" and "The Lion Guard" will be joined by characters from the new series "Mickey and the Roadster Racers." The stunning world of Pandora headlines a full lineup of new attractions at Walt Disney World Resort. From theme parks to water parks to resorts to Disney Springs, there's something new in every corner of this world. A dazzling new after-dark show, Rivers of Light, treats Disney's Animal Kingdom guests to a celebration of nature in an experience that features water, floats, projections, fire and light choreographed to an original musical score. A new nighttime experience premieres at Disney's Hollywood Studios May 26. A full orchestra will provide the soundtrack for a 40-minute visual journey into The Music of Pixar LIVE! Additional movie replicas from Rogue One: A Star Wars Story welcome guests to Star Wars Launch Bay at Disney's Hollywood Studios. A new family-friendly raft adventure, Miss Adventure Falls, recently debuted at Disney's Typhoon Lagoon water park. A May 12 opening is set for "Happily Ever After," the most spectacular fireworks display in the history of the Magic Kingdom. About the Disneyland Resort The Disneyland Resort features two spectacular theme parks – Disneyland (the original Disney theme park) and Disney California Adventure Park – plus three hotels and the Downtown Disney District, comprising unique dining, entertainment and shopping experiences. The Resort's hotels are the luxurious, 948-room Disney's Grand Californian Hotel & Spa, which also features 50 two-bedroom equivalent Disney Vacation Club units; the magical, 973-room Disneyland Hotel – both AAA Four Diamond properties – and the 481-room Disney's Paradise Pier Hotel with its "day-at-the-beach" theme. For information on attractions and vacations at the Disneyland Resort, visit Disneyland.com, call (866) 43-DISNEY or contact local travel agents. Located in Anaheim, Calif., the Disneyland Resort opened July 17, 1955. Open daily, year-round. About Walt Disney World ResortWalt Disney World Resort is a contiguous, nearly 40-square-mile, world-class entertainment and recreation destination featuring four theme parks (Magic Kingdom, Epcot, Disney's Hollywood Studios and Disney's Animal Kingdom); two water adventure parks (Disney's Blizzard Beach and Disney's Typhoon Lagoon); 36 resort hotels (26 owned and operated by Walt Disney World, includes eight Disney Vacation Club resort properties); 63 holes of golf on four courses; two full-service spas; Disney's Wedding Pavilion; ESPN Wide World of Sports Complex; and Disney Springs, an entertainment-shopping-dining district. Walt Disney World Resort is also included in vacation packages of Disney Cruise Line. Located at Lake Buena Vista, Fla., 20 miles southwest of Orlando, Walt Disney World Resort opened Oct. 1, 1971. Open daily, year-round. For information on attractions and vacations at Walt Disney World Resort, visit disneyworld.com, call (407) W-DISNEY or contact local travel agents.